The weather was much more agreeable today: still cloudy, but no rain and very little wind. 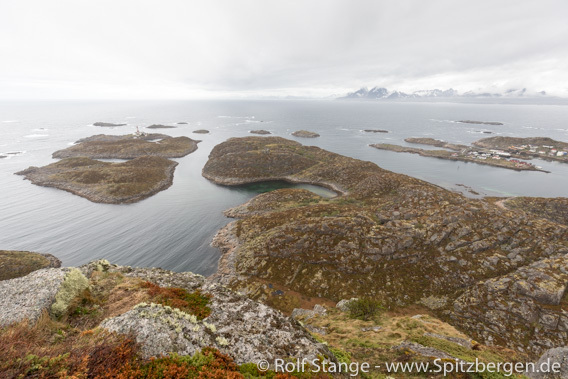 So we went to the lovely island and harbour of Skrova, which we reached after a short passage from Kabelvåg during breakfast. Skrova has very nice opportunities for various hikes. The top of the mountain Skrovafjellet was still hidden in clouds, but the lower mountain Stappen was free and provided some great panoramic views. 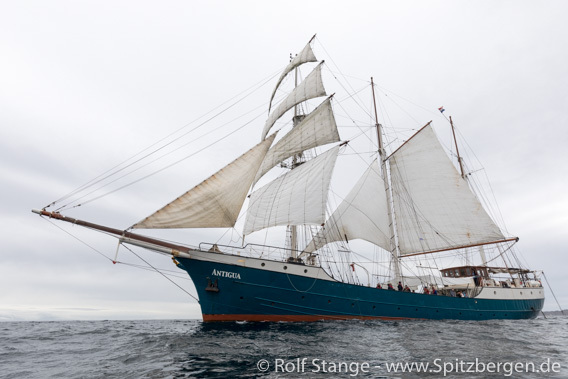 On the way further north we had nice, gentle sailing wind without too big waves. Perfect conditions to enjoy the view of SV Antigua under sail from the dingy. A great and impressive view! Then the swell went up again and the wind down and so did the sails, consequently. 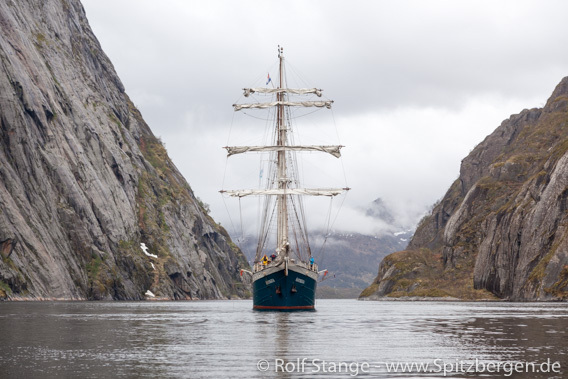 SV Antigua under sail in northern Vestfjord, close to Litlmolla. Later during the afternoon, we reached the famous Trollfjord. A place where nature had put a lot of effort into creating a stunning testimony to her own, great powers. Cheers to the ice-age glaciers that have made this amazing bit of landscape! 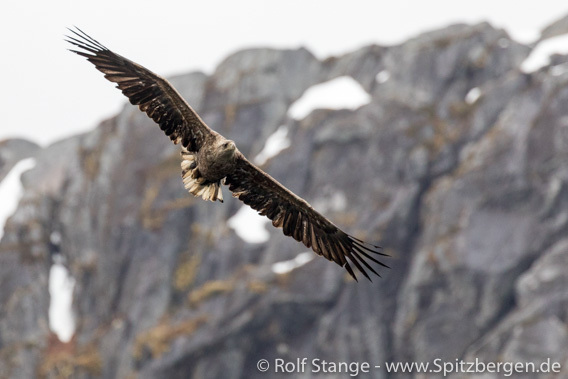 In the end, even a Sea eagle turned up and circled around the ship. A great, rich day!